Playing video games is hard work. Okay, playing games, providing commentary, and doing the occasional editing does take effort. 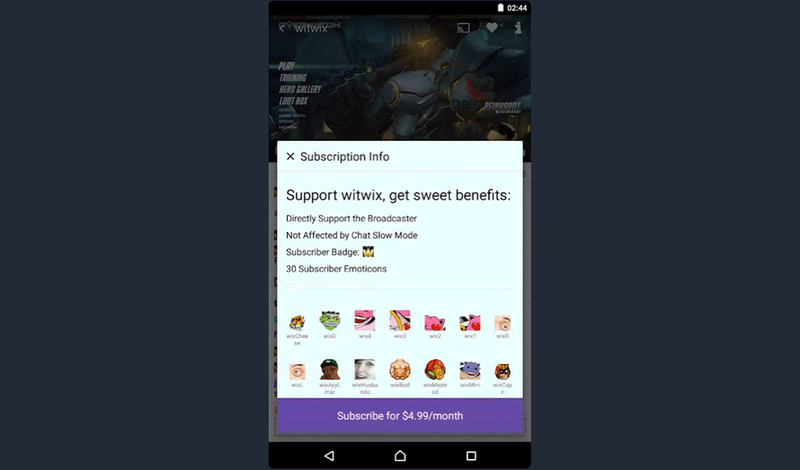 Some producers on Twitch attempt to monetize their content by getting users to subscribe and pay a few bucks a month. This feature is available in the browser, and now it has made its way to the Android app. When you subscribe to a broadcast, you can pick a payment tier and manage the financial transaction from beginning to end. You can subscribe for the first time or resubscribe if your current period is about to elapse. The app also provides a space to manage your existing subscriptions. Twitch has designed the experience to mirror that on the web. Payments still go through Xsolla, and there are not additional hoops to jump through. The feature is going out gradually, so if you don't see the option just yet, give it time.